At Electrical Solutions we have been providing the Arden area with the best in electrical contracting services for over 29 years. Our staff are completely dedicated to providing the best in customer experiences, and make certain to conduct themselves professionally at every job, even leaning the work site cleaner than when they arrived. 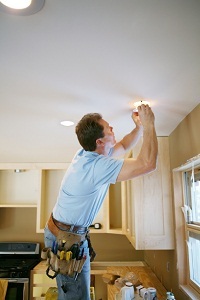 With the reliable and always on time staff at Electrical Solutions, you are getting the assistance of experienced electricians who treat your needs as their number 1 priority. All of our employees are courteous and attentive to the individual needs of each customer and their needed electrical solutions, so that we might provide you with the most accurate installation and repair services. We stress the importance of good communication as a necessary part of building a solid customer relationship, and believe this is key in delivering you the best quality work, ensuring that it is done right the first time, and addresses all of your home or business needs. For the most experienced Arden electricians with the most reliable work, do not hesitate to contact the pros at Electrical Solutions. Did you know that the majority of house fires are started by faulty electrical wiring? If your home is old, or you have not recently had an electrical wiring inspection performed, then you need to see about scheduling a visit from our experienced wire specialists. We can identify if there are any faults, corrosion, or developing problems with your home or office wiring, and make certain that everything is up to code. If we find any issues in need of a solution, we can replace your electrical wires without fuss, eliminating the threat of fire or other complications by fault. Maintaining proper lighting both in and outside of your home is quite important, and failing to do so can cause both an increase in your energy consumption, and even put your home at greater risk for break-ins, potentially raising your insurance costs. Whether you are in need of proper exterior lighting for safety concerns, or professionally installed interior lights, Electrical Solutions will be able to provide you with a whole-home lighting solution. We have experience providing for all lighting related solutions, and can help you not only determine the best location for installations, but the kind of lighting that will prove most beneficial to your home or business. If you are looking for a Arden electrician then please call 302-994-6252 or complete our online request form.